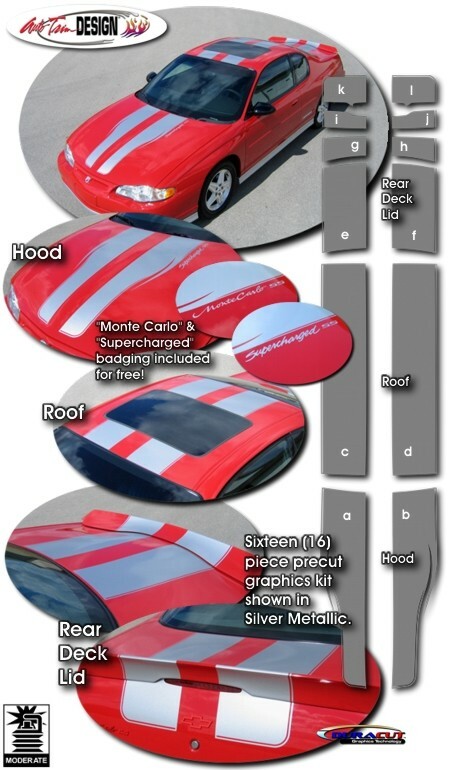 These stripes are packaged as PRECUT pieces that are ready to install in a wide variety of colors - there is NO TRIMMING required (vehicle models with sunroof option require simple trimming at sunroof opening)! Stripe package is not just a set of 10" (25.40cm) strips in a box. Our graphic kit consists of prefitted and contoured pieces as shown in the illustration. 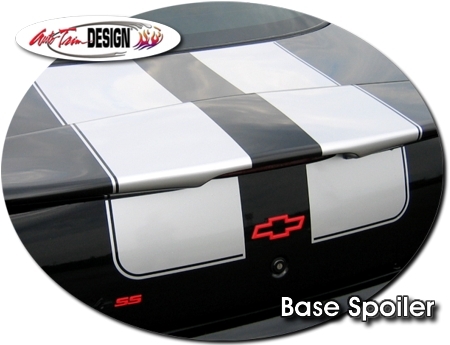 This kit is specifically made for the '00-'05 Chevrolet Monte Carlo's Hood, Roof and Rear Lid areas and will not fit any other vehicle. Stripe width is approximately 10" (25.40cm) and set for a center spacing of 5.75" (14.61cm) as shown.